Finding finance for new start-up company can be difficult, but there are funders within the market that can help. We have just received notification from Nucleus Commercial Finance, one of our funding panel, that they have launched “Start-Up Finance”, a specialist interest only loan product for new start companies. The new company can borrow between £25,000 and £20 million, secured against property. The terms of the loan give the company the ability to secure the funds at interest only, for up to 5 years. This means that no capital repayments are made within that period. The ability to make only interest payments, and not capital repayments is completely different to a standard business loan. Normally, the monthly repayment will consist of both components, interest and capital, at a rate that ensures that the loan is fully repaid by the end of the term. An interest only period could be a huge benefit to a new business venture as it significantly reduces the size of the repayments that the company has to make. This translates into additional working capital for the business. This structure gives a new venture time to grow before it has to repay the capital it required to start the business. At the end of the term, the customer has the option to exit and refinance, or to migrate to a normal term loan with Nucleus. In addition to this option, there are other providers on our panel that will provide alternative sources of funding for new companies. 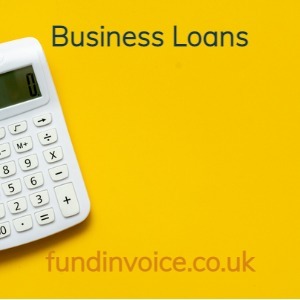 We have had a number of recent enquiries for both business loans, and invoice finance, from start-ups. Invoice financing is another widely available option for newlyformed companies. It can be available in circumstances where loans are not, as it is secured on the book debts of your company, rather than other assets, such as property. If you are seeking to raise funding for a new venture, please call Sean on 03330 113622 to discuss the options that are available.